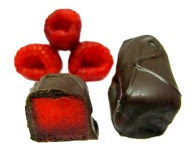 Since attending Food Fête Chocolate and the New York Chocolate Show in November, I've narrowed down my top picks for Valentine's Day. 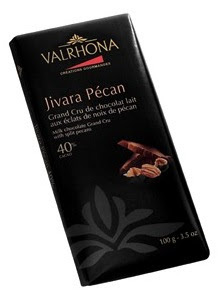 Although I prefer to indulge in sea salt caramels, there are so many unique and interesting kinds of chocolate to try. 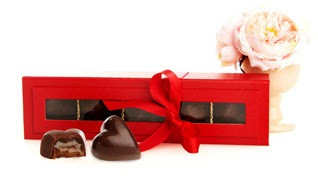 So ditch the traditional heart-shaped chocolate box and pick out something new and unexpected. Chuao Chocolatier Caramel Love, $15 - box set filled with 5 different types of caramel chocolates - Cambur (banana brown sugar caramel in milk chocolate, Dark Parchita (exotic passion fruit caramel in dark chocolate), Rosemary Salt Caramel (sale butter caramel infused with rosemary in milk chocolate, Spiced Napa Vallet Cabernet (California raisin fondue, Napa Valley Cabernet caramel spices in dark chocolate and Milk Parchita (exotic passion fruit caramel in dark chocolate). The Madison Chocolatier West Chocolate Indulgents for 4, $85 - a complete chocolate dinner with Sensation Truffle as a starter, Provolone Chocolate appetizers, Jinju (black garlic pearl truffle) with main course, currently a Pumkin Truffle, and Sweet Burn Bacon Butter Toffee.